The new 17-storey condo complex by Bing Thom Architects in the heart of Vancouver West End required an accurate 3D model of the building entrance area, from which steel supports for glass canopy can be designed and fabricated. Absolute Space surveyed using laser technology. 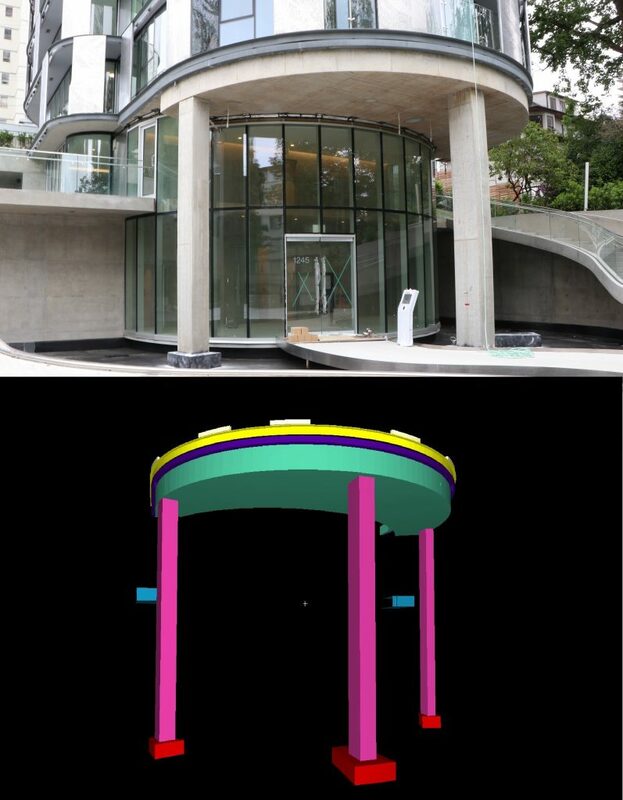 The extracted 3D model was directly imported to client’s design software.